This shop has been compensated by Collective Bias, Inc. and its advertiser. All opinions are mine alone. #HolidayPairings #CollectiveBias The following content is intended for readers who are 21 or older. It's 8:30 p.m. on Thursday night and I'm just sitting down from my day -- which started at 5:30 a.m. It was a crazy day. With the holiday's here it's only going to get busier. Busy is always welcomed, but when things get going I love anything that makes life easy. Lately I've been living on one pot meals and I don't see that changing anytime soon. We love entertaining and with our kitchen renovation nearly finished, I know there will be numerous dinner parties in our near future. 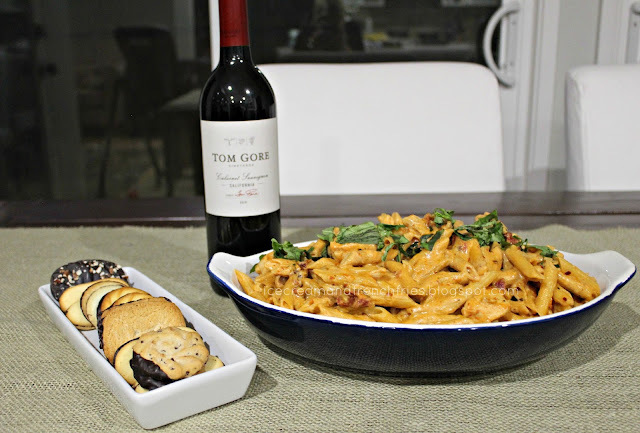 Luckily for Nick he doesn't have to wait as I decided to test out a new recipe, creamy chicken + sun dried tomato pasta. 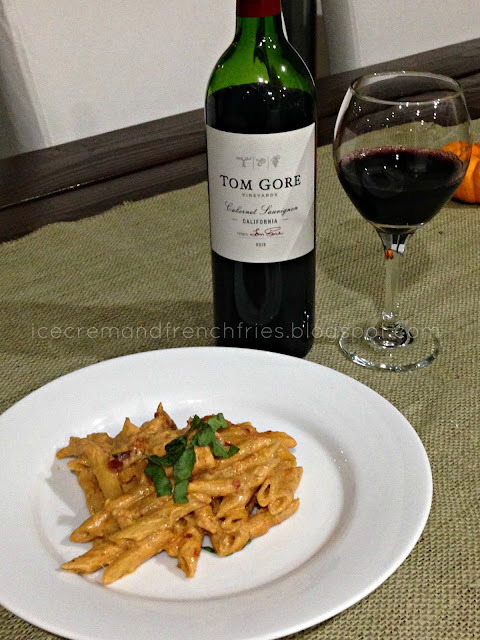 Of course, I paired the pasta with a nice glass of Tom Gore Cabernet Sauvignon [Brand Mantra: Celebrating the Farmer in Every Glass]. For dessert, I kept it simple with some cookies from the Pepperidge Farm chocolate cookie collection! YUM! Honestly, I could have eaten the entire box [Cookie Collection provides quick and easy entertaining for everyday and holiday. The perfect little something to keep on hand when guests pop by!]. In a large pan, on high heat, sautee garlic and sun-dried tomatoes [drained from oil] in 2 tablespoons of oil [reserved from the sun-dried tomatoes jar] for about a minute. Remove from pan, leaving the oil, and add chicken [ cut into stripes], salt and add a few dashes of paprika and cook on high for 1 minute on each side. Remove from heat. Cook pasta according to package instructions. - In the last 1-2 minutes of cooking time, 1 cup of liquid, such as cream, can be added. 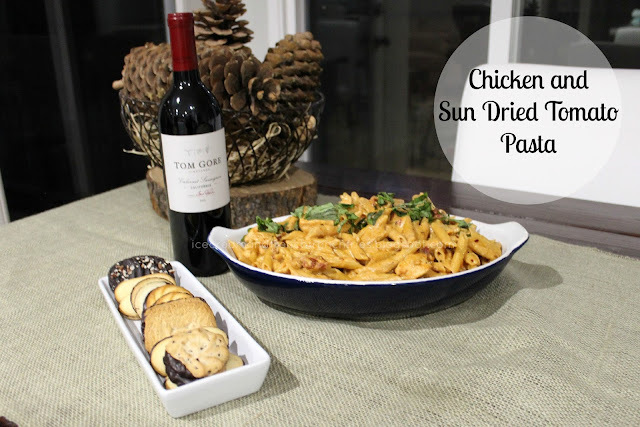 Slice sun-dried tomatoes into smaller bits and add them back to the skillet with chicken. Add half and half and cheese to the skillet, too, and bring to a gentle boil. Immediately reduce to simmer and cook, constantly stirring, until all cheese melts and creamy sauce forms. Once the pasta has been cooking for 5 minutes pour water and pasta into the skillet with the chicken and stir to combine. Add red pepper flakes. Stir to combine. Let it simmer for additional 5 minutes to allow the pasta to finish cooking. Top with fresh basil and enjoy! Oh and don't forget to pour yourself a big glass of red! Not looking for anything too fancy use a jar of Barilla Pasta Sauce and shredded rotisserie chicken with the Barilla Pronto Pasta and enjoy -- Easy breezy. Plus, you'll have more time to spend with guests. About Barilla- Barilla Pronto, the easy-to-prepare pasta that is ready in minutes. It is prepared in one pan – no need to wait for water to boil, and no draining is required! Available in 5 delicious shapes (Spaghetti, Penne, Rotini, Elbows, Linguine), Barilla Pronto helps make your pasta mealtime prep faster and easier – all in one pan!- Pronto provides the quality that people expect in Barilla pasta, only easier. 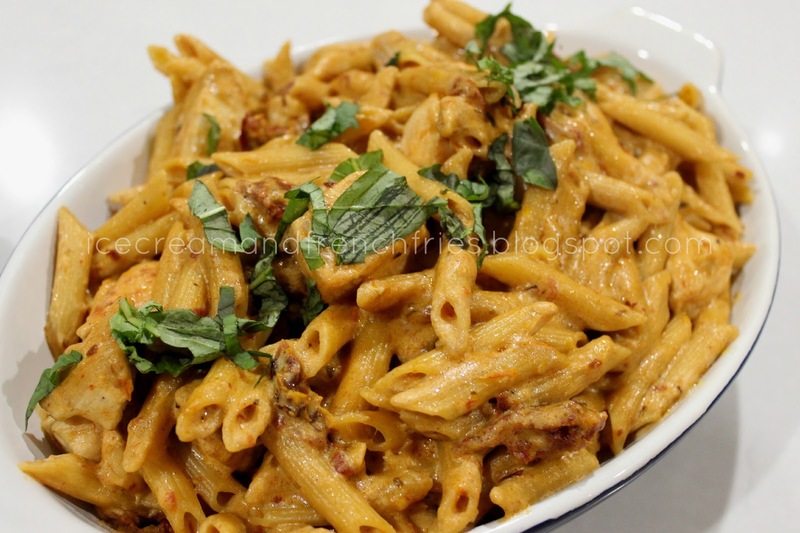 You can eat pasta more often; new convenience - yet still nutritious. 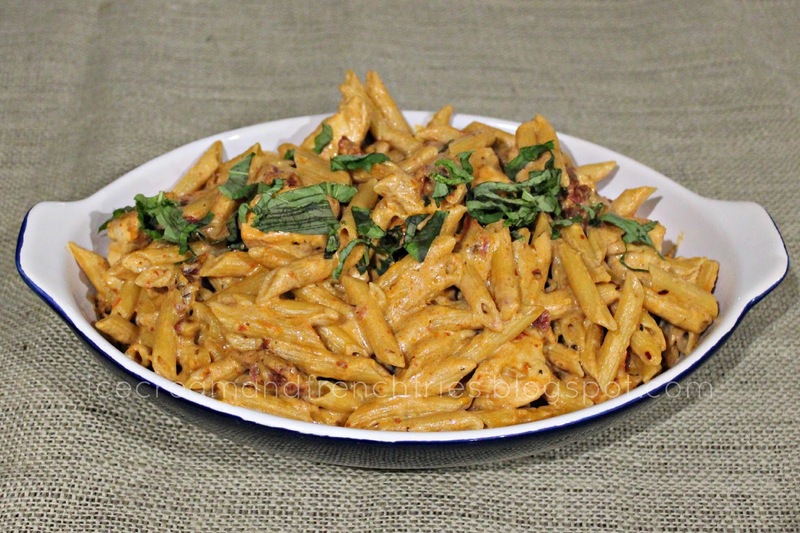 Overall Thoughts: Barilla Pasta is my new go-to pasta! Honestly, I love anything that makes my life easier! When it comes to entertaining, whether for 2 or 20, Walmart has you covered. 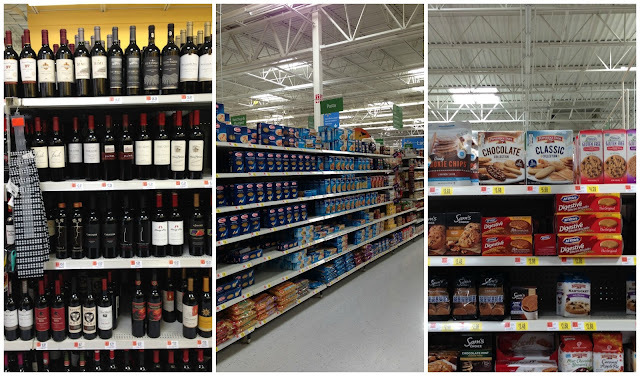 Did you know Walmart has a great selection of super premium wines at a great price? It's the go-to place for holiday entertaining needs. For more information about about wine tastings, Barilla & Pepperidge Farm demos, at your local Walmart in November and December, visit the Simple Entertaining Hub HERE. How do you take the stress out of holiday entertaining? Hello! I’m Tiara welcome to my personal blog where I chat about a variety of topics from fitness, food, home DIY, travel and parenthood. Thanks for stopping by I hope you come back soon. Healthy and Happy + A Giveaway! Happy Day It's a Kitchenaid Giveaway!! Healthy Game Day Eats + A Recipe!